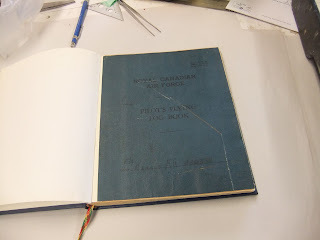 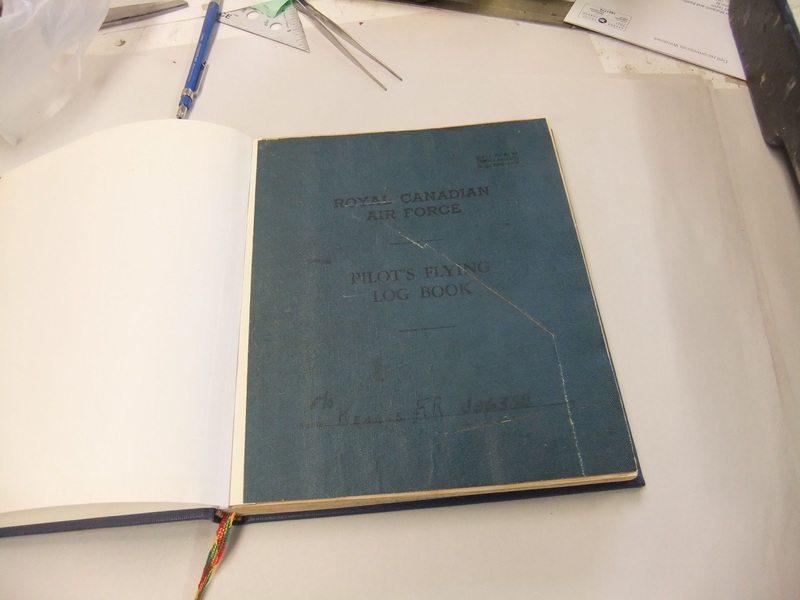 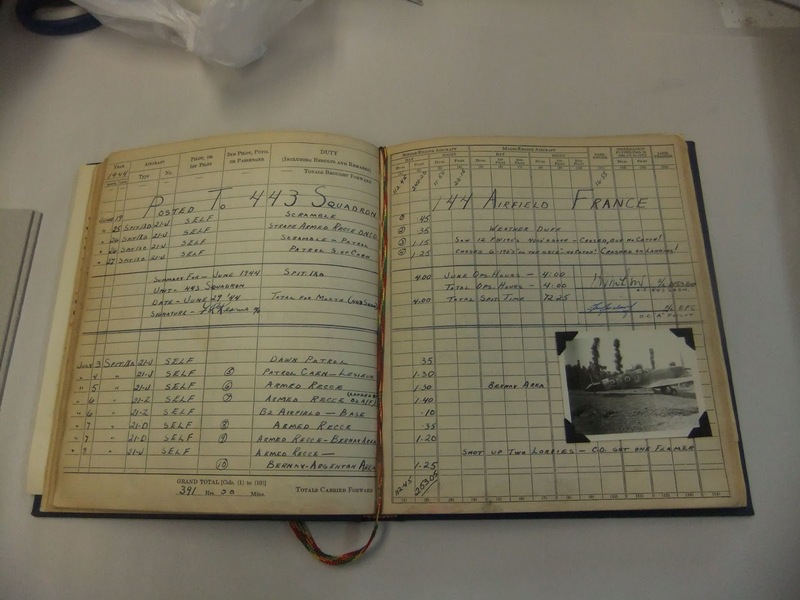 Since then a Pilot's Log has come in from the family of a former Spitfire pilot. 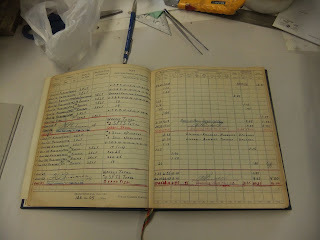 It needs to be scanned, and a few copies made. Entries range from "Yippee!!!" 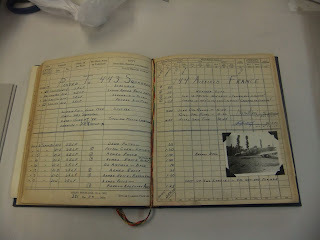 to "Excellent Bombing" to the brief poignant recording of a friend's death. 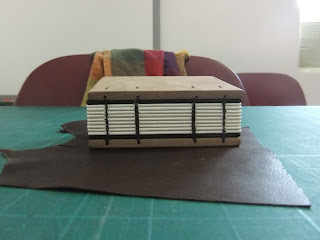 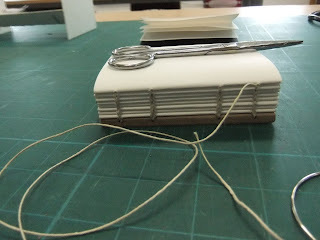 A week in Fredericton, NB teaching a bookbinding sampler. 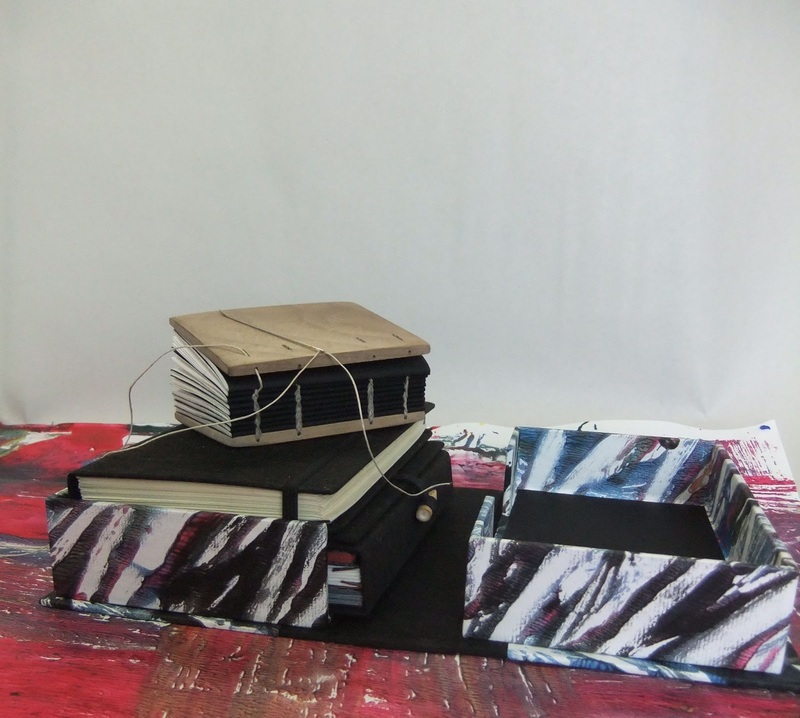 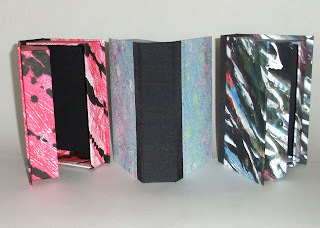 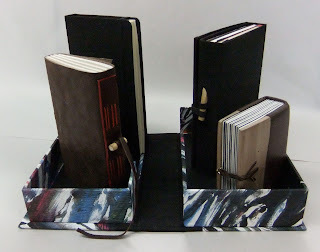 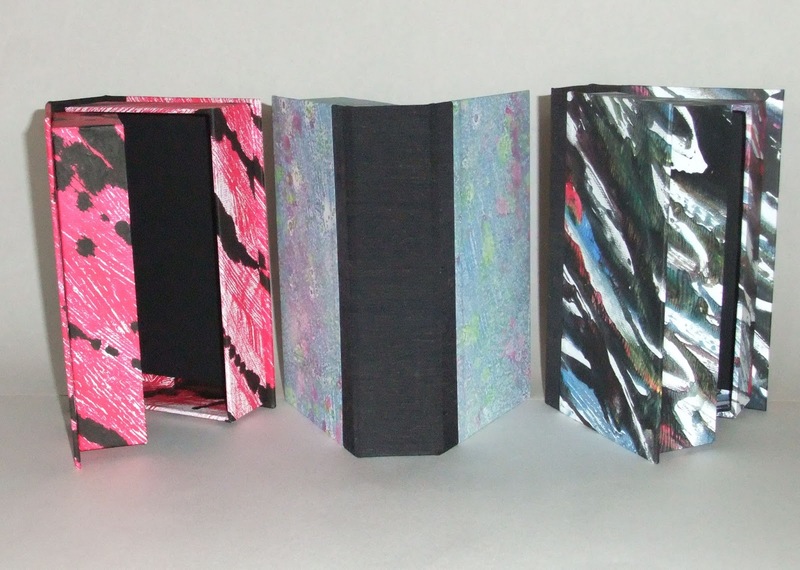 Projects ranged from a package of Japanese bindings, a Medieval style binding, a box and a Moleskine. 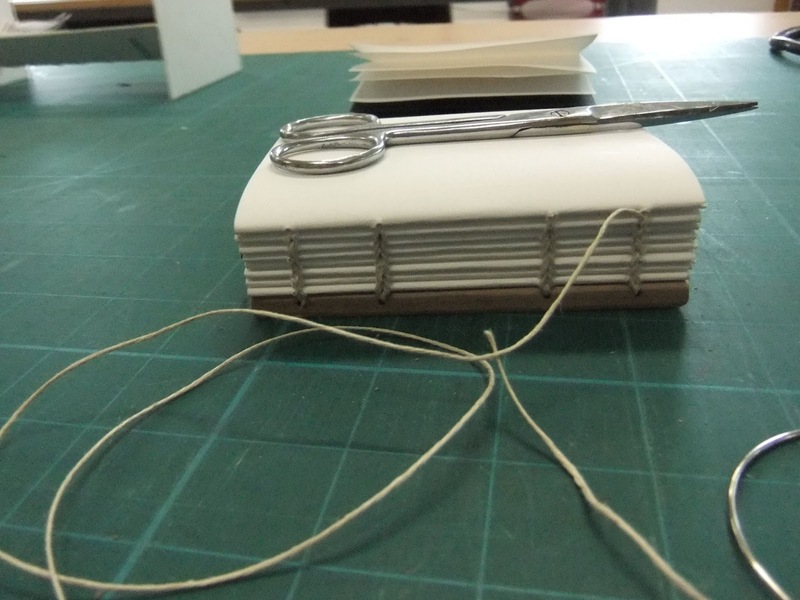 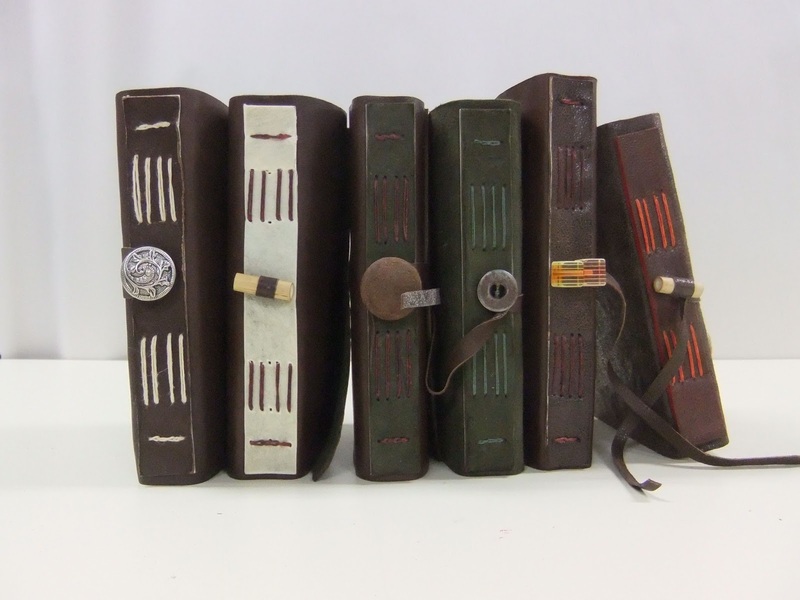 The photo below is from a one day workshop creating a Medieval style journal with a flexible leather cover. 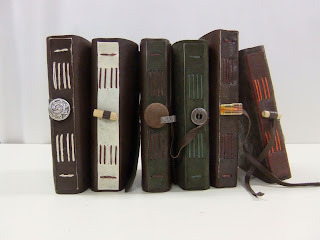 These various bindings truly show that the person responsible for them is very talented. 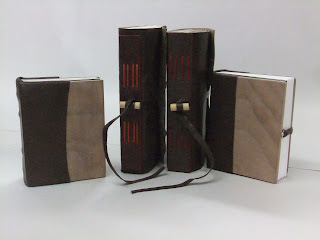 No wonder I bring my more modest (books) for binding to Don Taylor!